Shopee, the number one mobile marketplace in Southeast Asia and Taiwan, today celebrates its 1st anniversary. Since its launch last year, Shopee has shown significant business growth across the region. The company reports to achieve USD 1.8 billion annualized Gross Merchandise Value (GMV) with 43% month-on-month growth over the past one year. Shopee has now marked a milestone of 25 million downloads and over 65 million listings across seven markets. 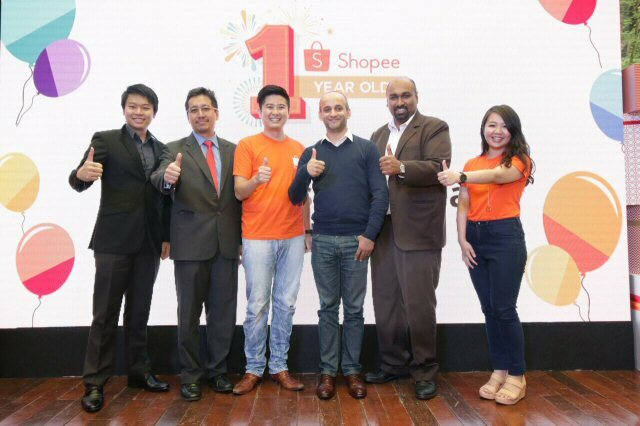 Shopee, the number one mobile marketplace in Southeast Asia and Taiwan, has just celebrated its 1st anniversary. Since its launch last year, Shopee has shown significant business growth across the region. The company reports to achieve USD 1.8 billion annualized Gross Merchandise Value (GMV) with 43% month-on-month growth over the past one year. Shopee has now marked a milestone of 25 million downloads and over 65 million listings across seven markets. Users are very active on the shopping app. More than half of the users access Shopee app daily, with each user spending on average 25 minutes on the app everyday. Buyers like to chat with sellers before making an order. Shopee' s in-app chat feature is highly used by buyers, with 80% of them chatting with sellers before making an order. The top three reasons for buyers using the chat are – to check the product details, to enquire on stock availability and to review the seller' s credibility. The report also showed that most buyers feel more assured after receiving a reply from sellers through the in-app chat. Users enjoy social interactions on the shopping app. 70% of buyers follow sellers on Shopee app to get first-hand news on the restocking of popular products. They also actively use the ' Trending Hashtags' feature on the app to stay updated on the latest trends. Interestingly, Korean Fashion is consistently one of the most popular hashtags across all seven markets in SEA and Taiwan. Purchase rate is higher on mobile than on PC. 70% of users are more likely to purchase on mobile than on PC. PC is used mostly for browsing and price comparison. "2016 has been great for us,"said Chris Feng, Chief Executive Officer of Shopee. "As we look forward to another exciting year in 2017, we expect to maintain the strong double-digit growth that we've experienced in the past year. We will also continue to focus our efforts on optimizing the product, improving the end-to-end user experience and in empowering entrepreneurs to expand and grow their online businesses," he added. As part of its 1st anniversary celebration, Shopee will offer many great deals as part of its appreciation towards its loyal users. All users on Shopee will be treated to massive promotions, including discounts at up to 90% off and crazy RM1 deals, as well as multiple chances to win prizes worth up to RM50,000 in flights, hotel stays, mobile phones and cash vouchers. Shopee will also be organizing a bazaar – Shopee Spree Carnival – involving more than 30 Shopee sellers from various categories. The bazaar will be held at Avenue K, Kuala Lumpur, on December 3 and 4. "Shopee Malaysia has grown to become one of the most popular Shopping Apps in the country. We are here only because of the immense support and loyalty of our users - both buyers and merchants. Hence, we have planned the 12 days of extravaganza between 1-12 December 1 to be an unforgettable one as a way of giving back to our community," said Ian Ho, Regional Managing Director of Shopee Malaysia." Shopee Malaysia has always been the champion of local entrepreneurs. As a special treat for entrepreneurs on the anniversary, Shopee has partnered up with Facebook for a special edition of Shopee University to be held on 10th of December. Attending merchants would be able to learn first hand from Facebook representatives on how to leverage Facebook tools to further increase orders and their store performance. Facebook will also share full spectrum of insights, case studies, and insider tips that will help merchants grow their business exponentially.The workshop is now available for sign-up through Shopee mobile app. In order to make the anniversary a rousing success, Shopee Malaysia has gathered partners from various industries including DiGi, RHB, Facebook, Malaysia Digital Economy Corporation (MDEC), Warner Music Malaysia, mySamsung, Chatime, Anakku, Traveloka and Flexiroam who will contribute special deals and prizes to to add to the festivities during this period. 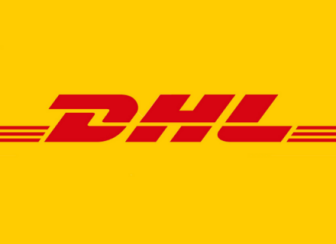 Ho added, "Buyers will constantly be spoiled by many more choices as we bring in bigger brands on-board to provide buyers with more assortment and better prices. Merchants on the other hand will continue to grow sales through our continuous efforts to improve the features as well as fascinating campaigns lining up for the year." Ho ended. Shopee is a no-commission, no-listing fee mobile-first platform and is also free to use. Shopee can be downloaded for free on all mobile platforms via the Apple App Store and the Google Play Store.